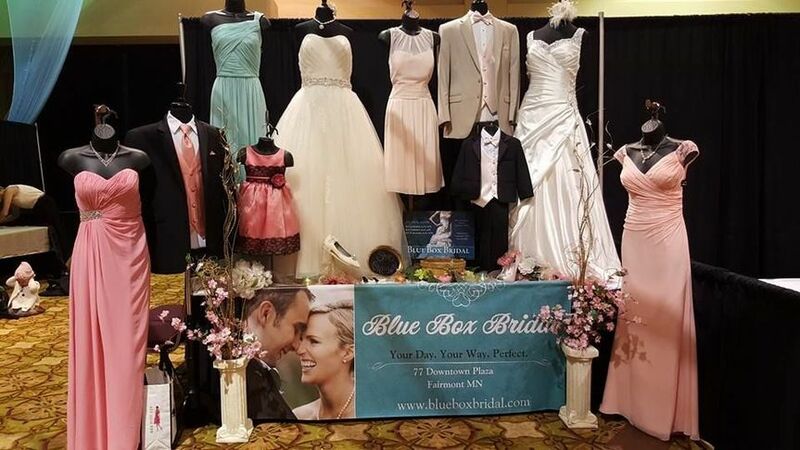 Come see the experts at Blue Box Bridal for all your wedding needs! 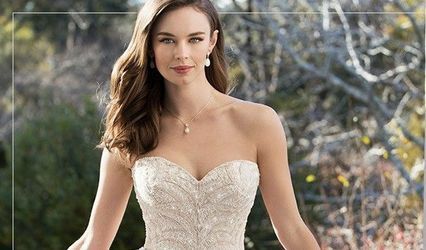 We have the latest bridal and bridesmaid styles from great designers like Mori Lee, Casablanca, Bill Levkoff, David Tutera and more! 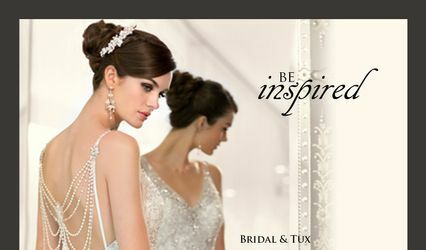 Get your guys looking good with tuxedos from Jim's Formal Wear and Tip Top Tux. Of course we have all the extras- like jewelry, garters, and spanx. We can also outfit your littlest ones in cute dresses or tuxes, and have something for mom and grandma too! My sister chose this place because of the location for her and the other bridesmaids but that was not the case for me. I called to order my dress but I was concerned the length was not going to be long enough for me at my 6 ft height, she did the calling around to get me exactly what I needed! I called with my concern, had my answer & got the dress ordered in less than an hour. Awesome customer service, thank you! Vanessa is so amazing to work with highly recommend working with her!! She will go above and beyond to find you what you want to make your day perfect!!! I walked in to their store they were very nice and helpful people tried on 7 dresses that day and the 7th dress fit me perfectly got it that same day if you are looking at prices you can afford go to this store I got my dress on sale it was a 1,000 dollars originally we got it for 279.00 because the designer for the dress went out of business.